You might be wondering what TWALK is... well let me tell you. It is an adventure race that is put on by the Canterbury University Tramping Club every year. Both students and members of the general public are allowed to attend the race, and it is well-known within the tramping community in NZ. Now, this race isn't like your everyday race... you have 24 hours to complete it, rain or shine! At the start of the race you all meet to then be bussed out to an anonymous location where the race will begin. The race is designed to have you use all of your orienteering skills in order to be able to get as many clues as you can. How do you win? Easy... FIND ALL OF THE CLUES! haha. The race is always designed so it is extremely difficult either to access or to locate every single clue, and it is very VERY rare that a team actually completes the race. This year one of the clues was even stashed in the MIDDLE of a lake so you had to wade out and get it - now THAT is dedication! Almost every year the race is guided by the light of the moon once the sun sets, and this year it was no different... except it decided to absolutely BUCKET rain for the ENTIRE race. 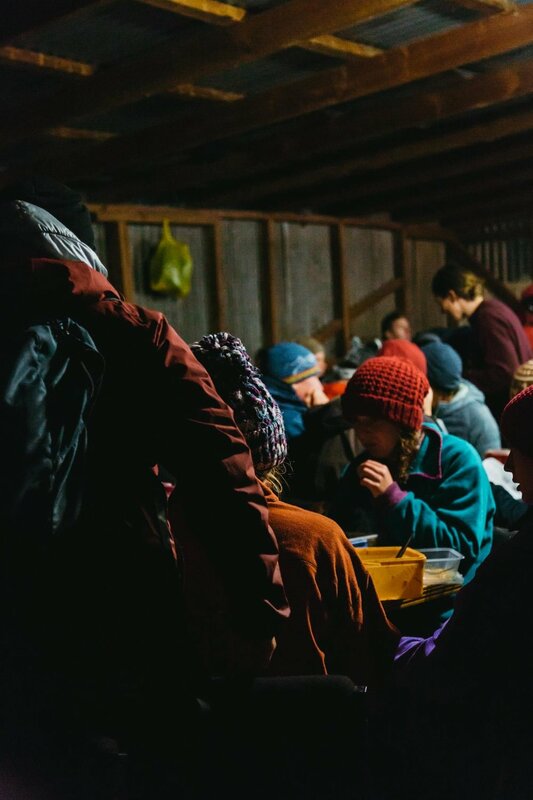 The participants were tired, wet and hungry for the 24 hours, but it definitely didn't stop them from eating an unimaginable amount of muffins and sleeping in the stables in order to re-fuel and continue on with the race. I was fortunate enough not to have to ACTUALLY participate in the race, but instead to capture the race (when mother nature allowed) with photos and help Ryan by holding an umbrella so he could get his video footage. Here are just a few of the shots that I took on the day/night. Finding the balance between time and $.